Europe in the mid 1920’s was still emerging from the shadow of the Great War which had ended almost a decade earlier. To confront the horrors of modern warfare, the League of Nations was established in Geneva with the hope that it could prevent such wholesale destruction and human loss from recurring. An outgrowth of the Treaty of Versailles which ended World War I, the League represented a community of nations who would work together to peacefully settle their disputes in the context of international treaties and law rather than through armed battle. The League of Nations also attracted interest from college students at the University of Geneva who wanted to become more actively involved in international affairs, but lacked a forum in which they could freely discuss their ideas. In Geneva during the summer of 1924, a discussion took place among a group of Anglo-Americans regarding the most effective contribution they could make to the cause of world peace. While initial suggestions included offering a prize for the best children’s textbook on the League of Nations and providing material aid for women deported in the Near East, none matched the response of Dr. Gilbert Murray, an Oxford professor. Dr. Murray called for the development, in Geneva, of an international students’ group for the intellectual, artistic, and social exchange of ideas among individuals of various national backgrounds. 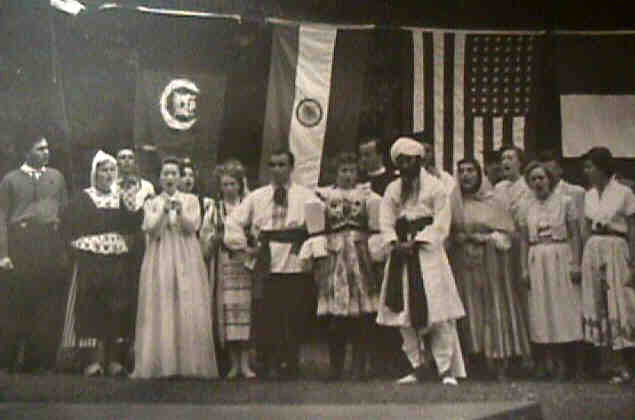 During the Fifth Assembly of the League of Nations, the Students’ International Union (SIU) was officially established with a four-fold objective: (1) to serve as a central office for all international student organizations; (2) to act as a “club house” where international students could meet and get to know each other; (3) to function as an institute to enhance the further understanding of international problems as well as promote a service ethic among the youth of various nationalities; and (4) to form a common bond among students regardless of race, nationality, or creed. The SIU was to become a union of youth and a new power for peace which would provide a sense of direction as well as a moral and spiritual framework for youth movements around the world. SIU’s beginnings were modest. Initially, eighteen men and women from six different countries met in a hotel in Geneva for weekly discussions of world problems. In 1924, an office in New York was opened where Mrs. Andrew Carnegie served as honorary president. Annual meetings were held at Mrs. Carnegie’s home, featuring contemporary speakers on international affairs. 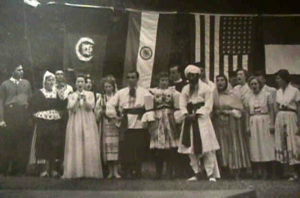 SIU membership eventually encompassed students from every nation, philosophy, culture, religion and station in life. 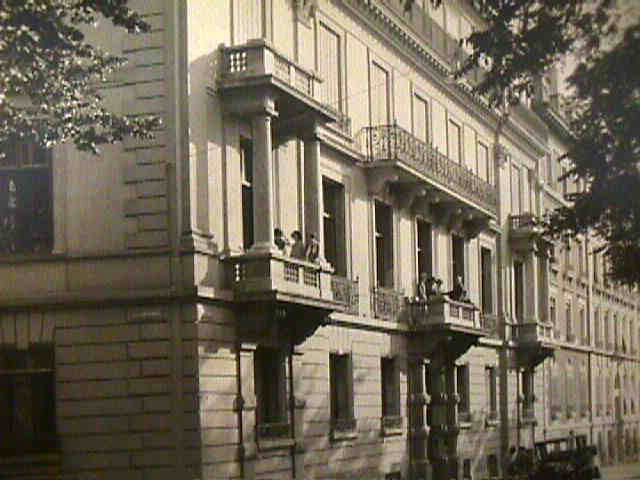 Once membership increased to 200, the Union established a year-round facility at 10 rue St. Leger, a first-floor apartment which overlooked the University of Geneva. The new headquarters, which officially opened in January 1925, consisted of a library, club room, and an information office. As time went on, hundreds of students visited the center on a daily basis. The Students’ International Union was frequently used as a resource library and meeting place for lively discussions on international issues. During a winter stay in Palm Beach, Florida in 1933, Mr. Alexander Mectier Hadden and Mrs. Maude Miner Hadden developed a circle of friends with whom they met on a regular basis to discuss world problems. These meetings soon evolved into the Palm Beach Round Table. The organization’s mission was to provide informative events led by international policymakers, spread more accurate knowledge of international and national problems, and provide scholarships, through membership fees and donations, for international students to attend seminars. Throughout the course of World War II, soldiers stationed at nearby Morrison Field took part in Round Table activities, including lectures on national and international problems. In addition, informal talks, language classes, musicals, parties, movies, and dances were held to entertain the troops. On Sunday afternoons, well-known artists would drop by to sketch portraits of the soldiers that were then sent home to their families. More than a social haven, the Palm Beach Round Table also provided housing to the wives and children of soldiers. Over the years, a variety of well-known speakers have contributed their knowledge of global and cultural affairs to members of the Palm Beach community, including General Omar Bradley, Senator James W. Fulbright, Baroness Maria Von Trapp, General Douglas MacArthur, President Richard M. Nixon, Mr. Ralph Nader, Mr. Benjamin Netanyahu, and Senator Bob Dole. Mrs. Maude Miner Hadden remained president of the Round Table from its establishment in 1933 to 1962. Although no longer affiliated with IWA, the Palm Beach Round Table continues today as a non-political, non-sectarian, non-governmental and non-profit cultural organization presenting interesting and diverse programs for its members and their guests with speakers of national and international importance and leaders of industry. With the outbreak of World War II, the Students’ International Union was no longer able to guarantee the safety of its headquarters in Geneva, Switzerland and in 1941 relocated to the United States. 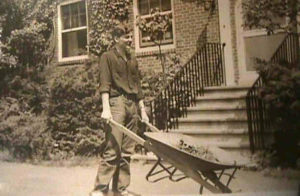 New headquarters were established in New York City and summer seminars were conducted in Salisbury, Connecticut. Located on 300 acres of farmland in northwestern Connecticut, the seminar site consisted of a farm house which housed administrative offices and guest rooms, a library, dormitories for men and women, a barn, and a chicken coop. It also boasted lakefront facilities at nearby Twin Lakes. During this time, the name of the organization changed to the Institute of World Affairs, although its mission and activities remained the same. During most of its history, the primary activity of the Institute of World Affairs was the annual summer seminar for college students. Participants were selected from around the world to take part in a two-month session designed to provide an intellectual and social foundation for world leadership. Summers spent at the Institute of World Affairs were filled with academic challenges, daily tasks, and recreational activities in an environment designed to encourage mutual cooperation and interpersonal harmony. Each seminar was organized around a particular topic such as problems of the Third World, arms control, international law, the Cold War, world energy, or the impact of international financial institutions. IWA seminars also enabled students to develop their leadership skills. At the beginning of each session, a student government was formed with elected officers. In addition to attending seminar lectures and completing writing assignments, students performed chores such as picking vegetables, mowing the lawn, washing dishes, sweeping, typing reports, gardening and operating the tractor. Within the busy summer schedule there was also time for fun. Evenings were filled with visits to the Boston Symphony Orchestra, performances by the Berkshire Players, chamber music recitals and dance programs. 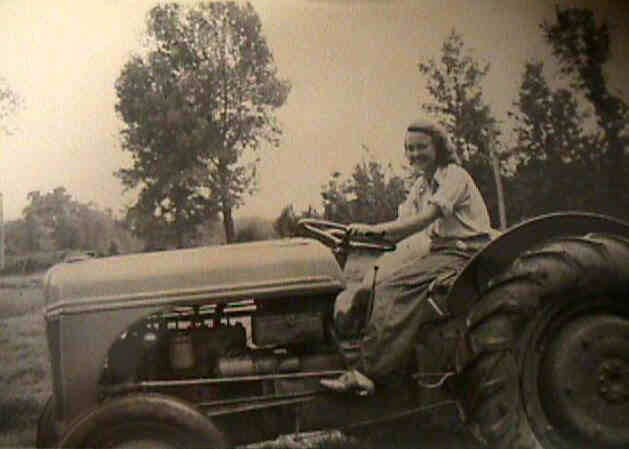 Time was also set aside for swimming, boating on the lake, hiking, picnics, softball games, hay rides and dances. Along with good-byes and well-wishing which accompanied the end of the summer seminar often came the question, where do we go from here? Students were encouraged to take what they had learned and pass it on to others so as to multiply the impact of their unique experience. Post-seminar activities included organizing and attending international relations conferences, writing articles for college newspapers, conducting radio programs consisting of speeches and round-table discussions, and presenting talks to university groups, community organizations, embassies and governments. As founder and president of the Institute of World Affairs, Maude Miner Hadden remained a driving force behind the Institute until her death in 1967. In the decade following her passing, IWA went through a period of institutional change. Faced with the increasing costs of conducting the annual summer seminar and a lack of general funding, Board members began to search for programs that would preserve IWA’s general purpose and principles and utilize its facilities. The search led to a merger with the American Universities Field Staff (AUFS) in September 1977. Consisting of a consortium of colleges and universities throughout the United States, AUFS was formed to promote a better understanding of world conditions through the dissemination of knowledge. To that end, the consortium maintained a corps of academic observers, located around the globe, who were responsible for analyzing and writing about current events and issues within a particular region. After returning to the United States, these academicians would share their findings through lectures at consortium universities. During the 1970s, IWA summer seminars became more professionalized. Participants were increasingly drawn from graduate and post-graduate programs. An emphasis was placed on recruiting participants with academic backgrounds in law, political science, economics, history, government, business, and international relations. In addition to its yearly summer program, IWA expanded its activities to include year-round seminars and workshops for various academics, lectures to the community by visiting scholars, American studies courses for international students, and orientation programs for American business professionals traveling overseas. From 1988 to 1994, IWA went through another organizational change, merging with the Institute of Current World Affairs (ICWA), a non-profit organization which offers overseas fellowships to American students interested in studying contemporary issues in foreign countries. IWA summer seminars continued to be held up until 1993. More than ever, IWA remains committed to addressing international problems, raising global awareness, and stimulating academic research and learning. Current programs focus on peacebuilding, education and professional development, and international policy. Although IWA no longer runs residential programs, the Institute remains true to its SIU roots by working to bridge cultural and political divides between people and nations alike. In 2016, IWA formed a strategic partnership with RESOLVE to bolster its international conflict resolution and peacebuilding projects and further leverage IWA’s research and policy capacity.